Much to the relief of many, a new school year has fallen upon the students of Paradise Valley University. Alexandra Chisolm, Chasity Parker, Sidra Howard, Malajia Simmons and Emily Harris are thrilled to officially be sophomores. With a roommate shake-up that takes some getting used to, the girls hope that it’s the only shake-up that will happen. When Alex’s high school friends, Stacey and Victoria enter PVU as freshmen, she couldn’t be more excited. Having all of her friends in one place is a dream come true. Alex’s excitement is short lived once Victoria begins to show jealousy towards Alex’s “college family”. That, on top of facing a shocking betrayal, sends Alex into a fit of anger that she is unsure she will be able to recover from. After a scare, Chasity decides to look for her birth mother and her decision causes a major clash with someone she least expects. As if that stress weren’t enough, Chasity realizes that the growing feelings that she has for Jason Adams have become harder for her to ignore. During a blackout, the two cross a line that leaves both confused. In a fit of emotion, one makes a decision that ultimately changes the course of their relationship. Emily’s new living arrangements and mother’s constant hovering start to take its toll. Feeling helpless and lonely, Emily’s grades begin to suffer. Finding the stress too much to bear, Emily finds a way to cope. But her methods may prove to be too much for her to handle. Mistakenly, the girls thought that after surviving the events of their freshman year; that their first semester as upperclassmen would be a breeze. With secrets, drama, and emotions at an all-time high, these unlikely friends find that on top of handling their growing course load, they’ll have to get a handle on their personal lives, both on and off campus. 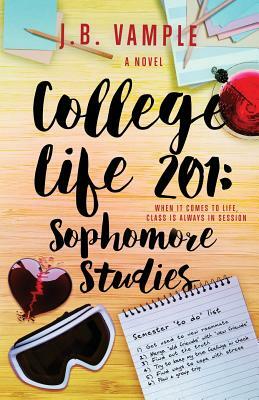 Tell us what do you think about College Life 201: Sophomore Studies (The College Life Series, Vol 3).